Natural disasters always strike us hard no matter how hard we came prepared. Lack of information often cause some place got left behind after the disasters. 4 students from Chulalongkorn University aim to solve this problem by connecting volunteers and victims together to build a strong community with their solution call Terra Project. The team is consist of Kriangkrai Pipatvilaikul, Wannapon Suraworachet, Tanon Sirawan and Jirapat Yaovatsakul. No one shall get left behind anymore with Terra Project. 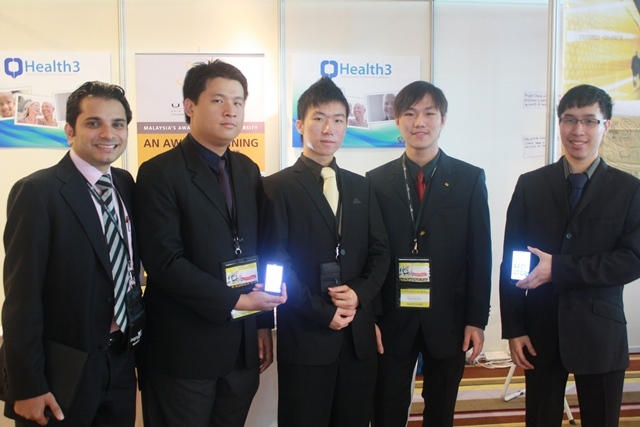 They will be represent Thailand in Imagine Cup 2011 Worldwide Final in Software Design category at New York City this coming 8th – 13th of July 2011 together with their team mentor Dr. Krung Sinapiromsaran. They will be competing with teams around the world. I’m lucky enough to get contact with them and learn about their story as one of the Microsoft Student Partner (MSP) Social Media Team. Imagine the world where people are helping others. As the large scale of natural disasters are suddenly happened everyday, people should beware of themselves and beloved ones. Terra Project is the project developed for connecting volunteers and victims together to build a strong community. We have seen how when a large scale natural disaster comes, there would always be lack in number of officials [firemen, rescue team, civil workers] to help all the victims in crisis. Every person with the will to help should be notified where their help is needed. Terra Project is created for connecting individual victims to potential volunteers around them. You can tell people across various your social network sites about what is going on with you and where you are, with just simply One Click! With our various functionalities and tools, we ensure that the world where people are helping each other is no longer an imagination. Not long before Imagine Cup 2011 started, Thailand was crushed with the greatest rain flood in its history. Over million households were damaged. However, only those villages that made it to the Television news were acknowledged and received huge showers of aids, while the others were completely ignored. Our team had a chance to visit one of the ‘less acknowledged’ village on the university trip. Help did not come to this village, even as there are over millions of volunteers willing to help, because they don’t know any information, and it took experimental courage for our tour guide to lead us here. From this trip, we wish to create an application that will be the center for each volunteer and each victim to communicate in times of natural disasters, so that no one shall be unacknowledged anymore. Life with Imagine Cup is so exciting! Once we are the winner of Thailand, crowds are staring at us. Although we have to work hard on our project, all supports and opportunities come out every way! We gain lots of experience that will be the most precious moment of our lives! We believe that everyone can be a part of the better world only if we work together to achieve it! Therefore, we will make Terra Project the central ground that ultimately integrate and unite all people and social networks together into the world largest community of volunteers. We have seen how mankind has overcome disasters when we work together, and from now on, we will make it much easier to unite and collaborate people together in face of natural disasters, with just one click. Find out the latest update from Team NewKrean by liking the team on Facebook fans page or follow them through Twitter. You can also stay tune in my blog for more update on Team NewKrean and event of Imagine Cup 2011 Worldwide Final at New York City or follow the official Imagine Cup fans page or Twitter. Team NewKrean will represent Thailand at the Imagine Cup 2011 worldwide finals in New York City in this coming July. The team is participating in the Software Design competition and will be competing with the other teams from countries around the world in the same category. Team NewKrean developed a project call Terra Project. As the large scale of natural disasters are suddenly happened everyday, people should beware of themselves and beloved ones. Terra Project is the project developed for connecting volunteers and victims together to build a strong community. We have seen how when a large scale natural disaster comes, there would always be lack in number of officials such as firemen, rescue team, civil workers to help all the victims in crisis. Every person with the will to help should be notified where their help is needed. Terra Project is created for connecting individual victims to potential volunteers around them. You can tell people across various your social network sites about what is going on with you and where you are, with just simply One Click! With our various functionalities and tools, we ensure that the world where people are helping each other is no longer an imagination. The team consist of 4 members. They are Kriangkrai Pipatvilaikul, Wannapon Suraworachet, Tanon Sirawan and Jirapat yaovatsakul. 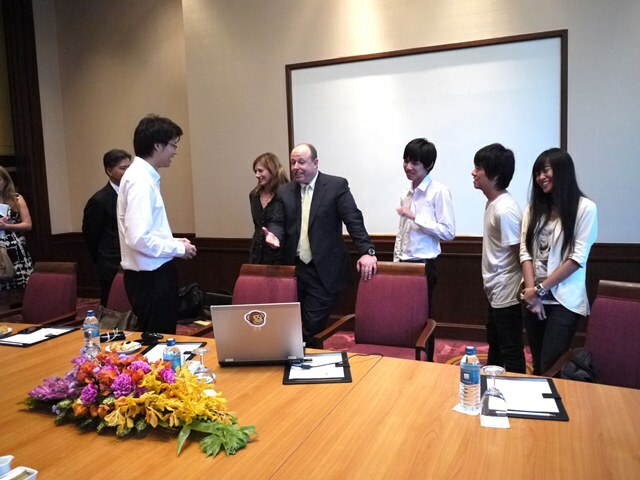 All of them are from Chulalongkorn University and Dr. Krung Sinapiromsaran is the mentor of the team. This is just a short introduction of the team. Find out the latest from Team NewKrean by liking the team on Facebook fans page or follow them through Twitter. You can also stay tune in my blog for more update on Team NewKrean and event of Imagine Cup 2011 Worldwide Final at New York City. So which team shall be flying Malaysia flag on the worldwide final of Imagine Cup 2011 at New York City, US this year? Let me give you the list of all the winner this year in Imagine Cup 2011 Malaysia. 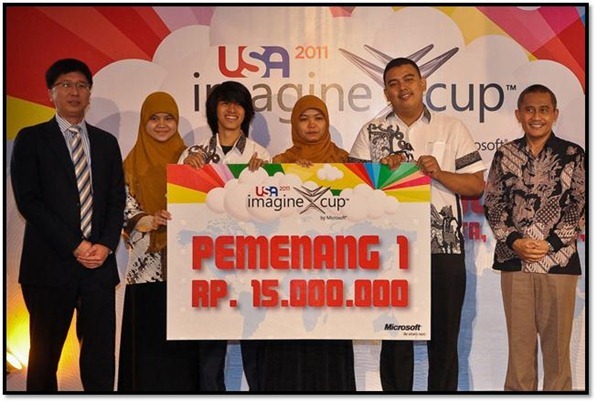 As you can see, UCTI swap the most prizes in Imagine Cup 2011 Malaysia and they won twice in Imagine Cup Malaysia so far. I bet the university is putting a lot of effort pushing their students in Imagine Cup competition. Well done and great job. Since last year Team HDC went all the way into top 6 of worldwide final of Software Design, so we are expecting the team this year to do even better! We are counting on you team Cyber Knightz to bring back the cup this year. I shall be tagging along with the team to the worldwide final of Imagine Cup 2011 at New York City, US. I’m selected as one of the 25 Microsoft Student Partners of Social Media Team that will bring you all the most up to date of the event at NYC through social media channel. I can’t wait to be there. New York City, I coming together with Team Cyber Knightz. 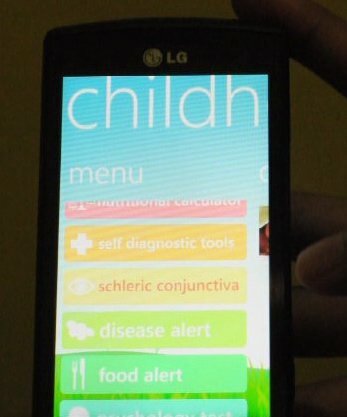 Project Overview: Health3 (Pronounced as Healthy) is a health minded application that targets to improve the health of a cancer patient from the very basic needs of a human, which are food intakes, exercise and emotional needs. By just taking three simple steps provided in our application, which are customize, deploy and start monitoring, cancer patients can find all the useful utilities that will help them in improving their health and increasing the chance of survival. Project Overview: Our project is a one-stop solution that utilizes web and mobile technologies in order to contribute greatly to the prevention of the serious issue of domestic abuse against women in urban areas. The web application is meant for the women themselves (victims or survivors) and for women’s rights groups. The general public and government bodies are also provided with minimal access. The mobile applications is mainly catered to the women themselves, and to their trusted friends. On the mobile side, our most important feature is the “panic response”. If a women is in an abusive situation, activating this function on her mobile phone will send out notifications to her trusted people and NGOs. Her location is identified using GPS, and an audio recording of what is going on will be stored securely elsewhere (on the cloud). this cloud be used as evidence in the future. In the web application, we provide functionality for the women to connect to each other and share their stories, to connect to the women;s rights groups, to access available shelters, and to educate themselves on abuse through content that has been provided by the right groups. We also provide functionality fr the NGOs to reach out to the women with education content, shelter detail updates and to maintain statistical data that are to be viewed later on by government bodies. For the general public, we have incorporated a reporting system which they can easily use to anonymously report domestic abuse cases in their neighborhood. With this, we hope contribute in the fight towards gender equality and prevention of abuse towards women. Project Overview: The project is an enterprise system that manages transmission of power in power substations. The project is divided into 3 major parts: Desktop Applications, Azure Application & Thin Client Application.